Panorama investigates the growing numbers of British passengers flying drunk. Tina Daheley uncovers shocking footage filmed by passengers and meets whistleblowers. Panorama investigates the growing numbers of British passengers flying drunk. 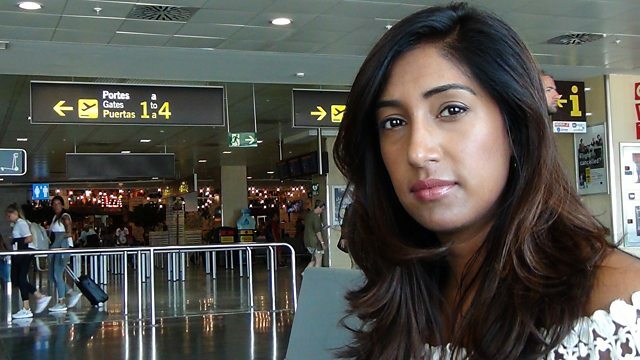 Tina Daheley uncovers shocking footage filmed by passengers and meets whistleblowers from the airline industry who reveal just how badly our journeys are being disrupted. With exclusive new figures showing a rise in drink-related incidents and arrests, Tina asks how some airlines are fighting the problem and meets the Majorcan official sick of Brits arriving on her island already drunk. Campaigners are pushing for new licensing laws, but with alcohol sales a key source of revenue for many airport retailers, is profit taking precedence over passenger convenience and safety?